What Are Lift or Leveling Kits? As a Jeep owner, you know that, eventually, you will be tempted to give your ride an elevation in the form of a lift or at least a leveling. You may need more clearance for off-roading or getting to that off-the-grid camping location. You might just want to goose up the “awesome” quotient of your vehicle to show off in good weather. Regardless, your lift and Jeep leveling kits in Illinois can be significant. To help clear things up a bit, here are two of the most popular items explained: lift kits and leveling kits. Lift kits are designed to raise your entire truck, front and rear, anywhere from one inch to multiple inches. There are two types of lift kits—body and suspension. A body lift employs blocks and spacers to lift the body of your Jeep without messing with the suspension. The purpose is not to elevate the overall ground clearance, but to give your vehicle the ability to use larger wheels and tires. A body lift also leaves the steering configuration alone, which allows for your vehicle to drive and handle the same as without the lift. Another benefit to Jeep Wrangler lift kits and wheels is their affordability. A disadvantage to a lift kit is that height. It can change the center of gravity enough to make the vehicle’s stability falter. This is due to the change in height. A vehicle’s center of gravity is what keeps it anchored to the road under normal driving conditions; alter that and the ride can become susceptible to roll-overs, both on the road and off. Suspension lift kits focus on the suspension, as the name implies. They usually will involve completely transitioning the original suspension. This includes changing out shocks/struts, leaf springs to the control arms, trailing arms, and in some cases, the entire driveshaft and steering components. 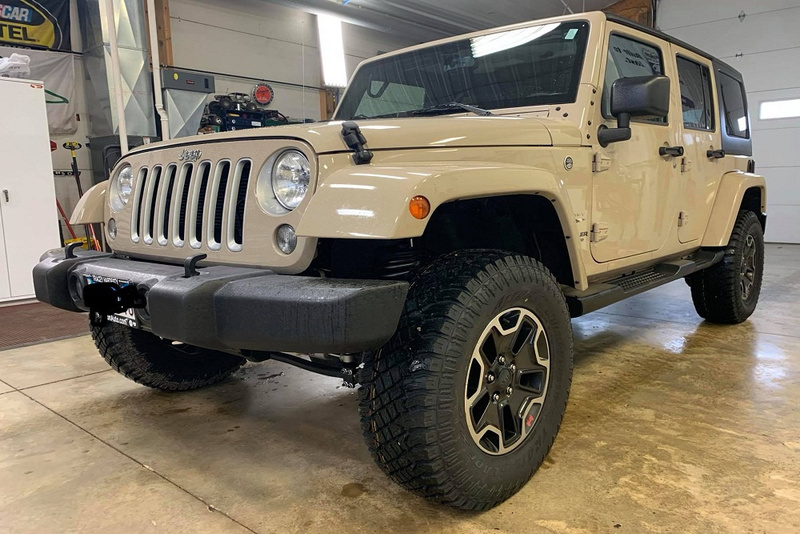 Generally, with Jeep Wrangler unlimited suspension lift kits or Jeep TJ suspension lift kits, the entire replacement or upgrade depends on what the owner desires to accomplish. The benefits to a suspension lift include greater flexibility, more ground clearance, being able to use virtually any sized tire, and off-road control and accessibility that does not exist in a vehicle that has not been lifted. 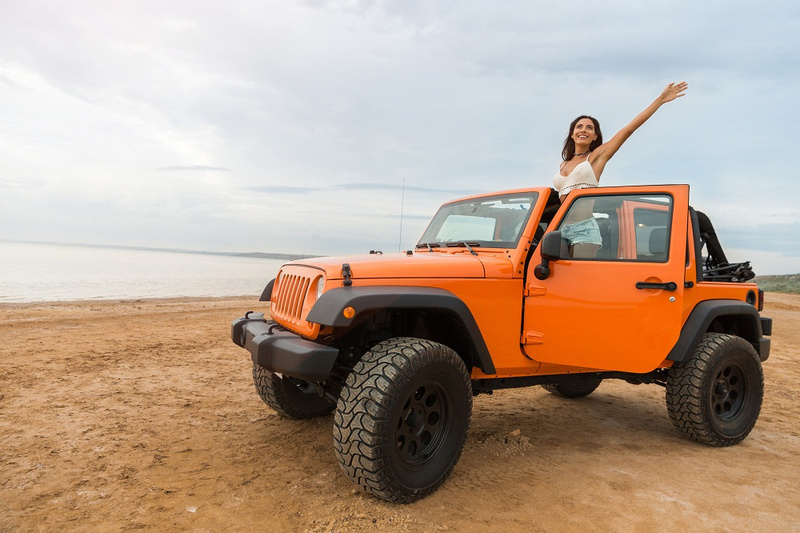 While most owners will tell you that Jeep Wrangler or TJ suspension lift kits are worth every penny, a downside to a suspension lift kit is its price. Replacing and recalibrating all those parts and equipment costs money. Another is that the increased height affects stability and, in some cases, the vehicle’s drive quality is affected. Just about every factory-produced SUV or truck has a degree of “rake” that is included in the suspension. Rake simply means that the rear sits slightly higher than the front. The purpose of this is to allow for some give when heavy loads are put in the back. Rear springs compress based on load size, which avoids the rear end sagging, rear components prematurely wearing out, or breaking when subjected to a heavy weight. A fully compressed suspension also makes for a very rough ride, and handling can be affected. A leveling kit reduces that rake. The front end is raised to the level of the rear end, which creates an even appearance from front to back. While some additional ground clearance can be achieved, the primary purpose for evening the rake is appearance. A leveling kit uses coil spacers, strut extensions, and torsion keys; in many cases, they can be installed without putting the vehicle on a lift. Those are the primary differences between lift and leveling kits. For more information, check out the many options at BD Motorsports.